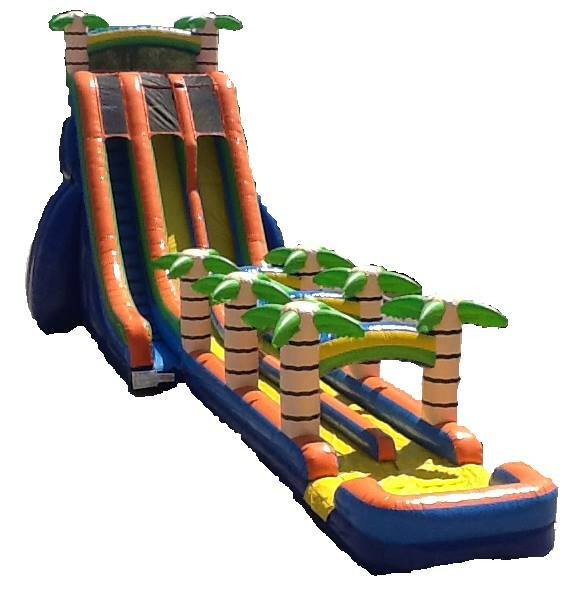 Here's a Sneak Peak at Our 27' Tall Tropical Slide With Slip n Slide! Here is a sneak peak at what's going to be available soon. This water slide stands 3 story's tall and over 70' long. This slide will make sure everyone has a blast from the small kids to adults. Starting with a super fast drop then splash out onto a slip-n-slide and away you go. It will be here in April we can't wait for you to see it!!! !